When you think about Disney, you think about sparkle, magic, glitter, and dreams coming true. That is exactly what you get when you see a performance of Disney On Ice. While not created directly by Disney, this show is a classic spectacle worthy of the Disney name. 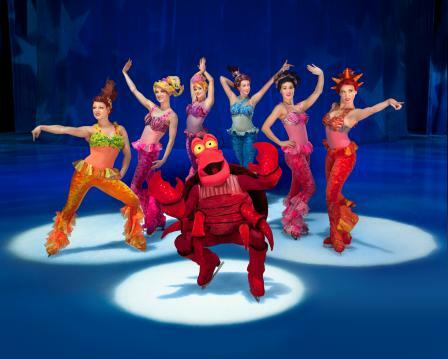 Feld Entertainment is the producer of Disney on Ice as well as a collection of other family oriented shows. Don’t be fooled by the title this show is not just for kids! There are a lot of fun moments for the adults in the crowd. One of the best in my opinion is when the Daughters of Triton dance to Madonna’s “Vogue” during the Little Mermaid Sequence. As you can see the show it a hit with boys, girls, and grownups! The lights are excellent, the costumes, are spectacular, and the show worth every penny. A total 5 out of 5 stars.